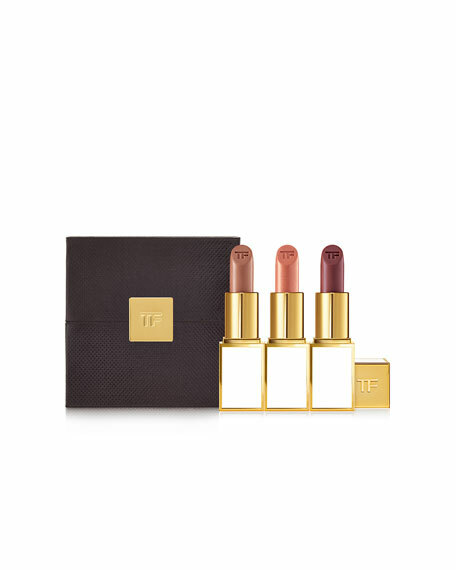 Clutch-sized Tom Ford lip colors inside a luxe case. 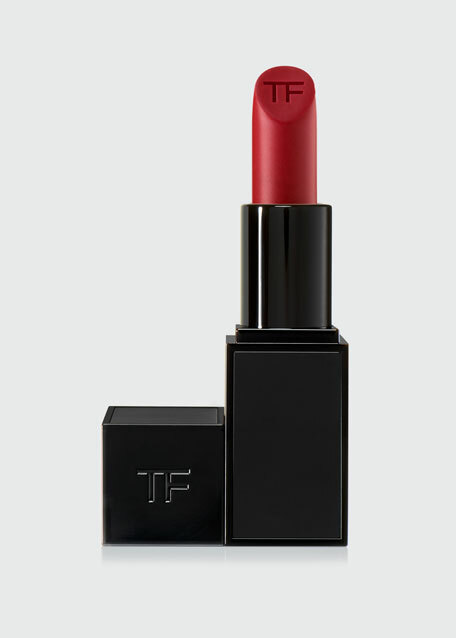 Includes ultra-rich lip color in Katherine and Julianne, and lip color sheer in Alexis. 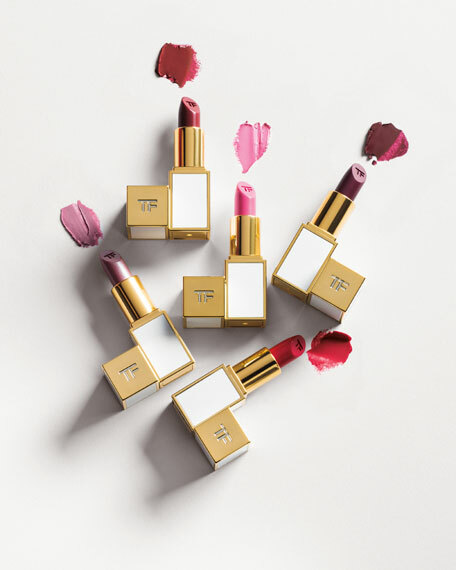 This decadent wardrobe of Rich clutch-sized lip colors delivers maximum impact. Rare and exotic ingredients including soja seed extract, Brazilian murumuru butter and chamomilla flower oil create an ultra-creamy texture with an incredibly smooth application. For in-store inquiries, use sku #2284623.